We have lots of help on hand to make sure your movie party goes with a swing. Most importantly – and as part of your party pack – we’ll provide you with a complete guide to how to host a movie party – from deciding who should play which role right through to how to organise the big day itself. You’ll also have free access to our great guide to film-making tips, tricks and special-effects. For those of you who have never tried a movie party before, we’ve listed below some answers to the common questions we get asked. If your question isn’t answered here, please get in touch. What age are your scripts suitable for? How long does it take to film a Movie Parties script? How long is a completed movie? The script I’ve chosen seems to involve people disappearing/explosions/etc. How am I supposed to film this? My camcorder’s getting a bit old – is it worthwhile trying to film a movie party? Do I need a separate microphone for my camcorder to make a movie? I like the idea, but none of your scripts are suitable for my party – do you have any more? Do you ever write bespoke scripts for children who want to act out a particular type of story, or who have specific interests? How will I get my script? What if I lose my connection somehow while I’m trying to download my script? What do I get in my movie party pack? Once I’ve received my script, can I change bits of it, alter the names, etc? Can I use the script in an educational setting? 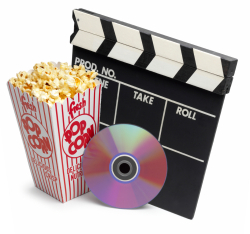 I don’t want to get into video-editing – is there any point in having a movie party? I can’t imagine some of my children’s friends wanting to learn lines – even if it is to make a movie! Can I post the finished movie on a video-sharing site like YouTube? Once I’ve received my script, how many copies can I print? Once I’ve downloaded my script, can I email it to other people? Although this will obviously vary from child to child, our scripts are roughly aimed at children between the ages of 7 and 14 – with somewhere in the middle being ideal. To allow time for people being late, a few breaks, and some party food, we would recommend allowing a total of three hours. Depending on how you approach the filming (and excluding any outtakes), a finished movie will last around 10 to 15 minutes. Don’t worry! Every script has detailed instructions to help you create the special effects that the story requires. None of them require any special equipment of any kind. Absolutely! As long as it still works and you follow the basic tips and tricks supplied with your script, any basic camcorder will be fine. No. We make some suggestions about getting the best possible sound in our ‘tips and tricks’ guide. However, basic directional mics which attach to most home camcorders have come down significantly in price in recent years. While not a necessity, these will certainly give you more flexibility when filming. We’re always working on new ideas for scripts. If you can’t find the right one for you in our online catalogue, email us. Yes, we’re always happy to do this. Email us for details and costs. Once your payment has been securely processed, you’ll be taken to a web page where you will be able to download the script you have chosen and any associated documents. You will have access to the download page for several days after your purchase has been processed, just in case. A basic movie party pack contains the script you have purchased, our detailed ‘how to host a movie party’ guide, and our list of fantastic film-making tips, trick & special effects. The script is provided as a read-only PDF document. It may not be altered electronically in any way. Copyright on all the scripts is reserved by Movie Parties. Please contact us if you wish to do this. Editing your movie after the party is entirely optional. Our experience is that a day spent filming and then watching the ‘raw’ footage on TV with all your guests is fantastic fun in itself. However, if you’d like to try your hand at video-editing, your movie party provides a great starting-point and some wonderful raw material. In an ideal world, it would be great if all your guests learned their lines in advance. However, this doesn’t even happen in Hollywood, so don’t expect it to happen at your party! We explain in our ‘tips and tricks’ guide how movie-makers get round this, how to shoot in very short scenes, how to prompt discretely, and so on. No-one needs to learn lines in advance if they don’t want to. Once you’ve finished your movie, it’s yours to do with as you please. However, please be aware that you should ensure you have the consent of the parents of the guests if you wish to do anything with it which takes it outside the context of the original party. As many as you need. No restrictions are placed on printing copies of our scripts. No. The terms of our license require that you keep the script you have purchased for yourself, and do not distribute it electronically to anyone else. In order to keep things simple for you and to keep the cost of our scripts down, we place no specific technical restrictions on our scripts which prevent you from doing this. However, we hope you will allow us to keep the cost of our products down by respecting the spirit of the agreement you make in purchasing from us.